Advantages: Excellent format, well chosen photographs, detailed general arrangement drawings, informative text. Disadvantages: Lack of drawings for Series 65 aircraft. Aircraft of the Austro-Hungarian air service are not as well documented as their German counterparts. So when a book is published on such a topic, one takes notice. When it is also authored by Harry Woodman, one is compelled to investigate further. Anyone that knows the author’s previous work will recognise the care with which he tackles his subjects. In 1916 the Luftfahrtruppe urgently needed better aircraft to counter the increasing number of Italian Nieuport 10 and 11 types. Not able to get the required fighters from other sources, the burden fell on the local aircraft industry. 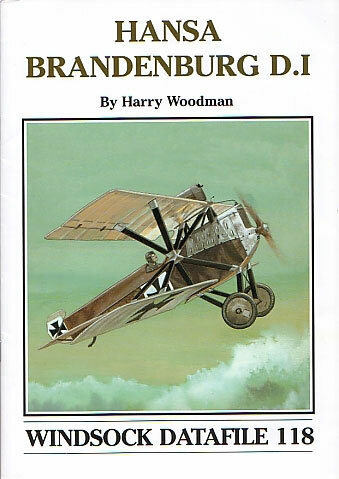 Thus the Hansa Brandenburg D.I entered service. The “starstrutter”, as it came to be known, was quite unconventional in the layout of its interplane struts. 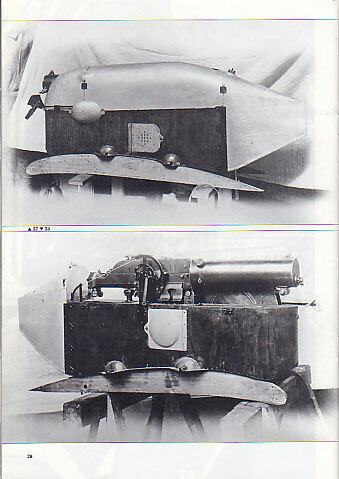 The idea was to add strength while at the same time reducing drag by eliminating the customary bracing wires. Although not a success, the design did achieve some victories thanks to the courage of its pilots. This 32 page “Datafile” follows the accomplished formula of previous publications in the series. A history of the aircraft leads the reader into a collection of over sixty contemporary black and white photographs. These are well chosen for their detail, historical significance and visual interest. The captions compliment the text extremely well. The information offered does not repeat the text, nor does it merely state what is obvious to the viewer. Instead it adds to the reader’s understanding of the subject. The author presents information on both the Brandenburg-built and Phönix-built D.Is and does it in a logical manner. Technical specifications allow an easy comparison between the two types and the reader never feels bogged down by described details. Martin Digmayer makes a welcome contribution with a detailed set of general arrangement drawings in both 1/72 and 1/48 scale. These are very well done with extra views demonstrating both early and late characteristics. Strangely there is a lack of Series 65 aircraft depicted in the elevations. For the sake of completeness, this is quite a serious omission. Those wanting these views could delve back in time to Harry Woodman’s own renditions in his “Aeroplanatomy” article on the H-B D.1, which appeared in the August 1974 edition of Scale Models magazine. Fortunately more recent sources can be found for these. Colours and markings are not forgotten though and Ray Rimell contributes with some excellent artwork. Three profiles are presented with colourful Phönix-built examples from Flik 41J, and Flik 42J. This is another worthy addition to the Albatros Productions Datafile series. Harry Woodman has done a very good job on this monograph and corrects some of the misprints that have crept into other publications. His thorough understanding of the subject is conveyed in the straightforward text and it’s refreshing to see his artwork gracing the cover.